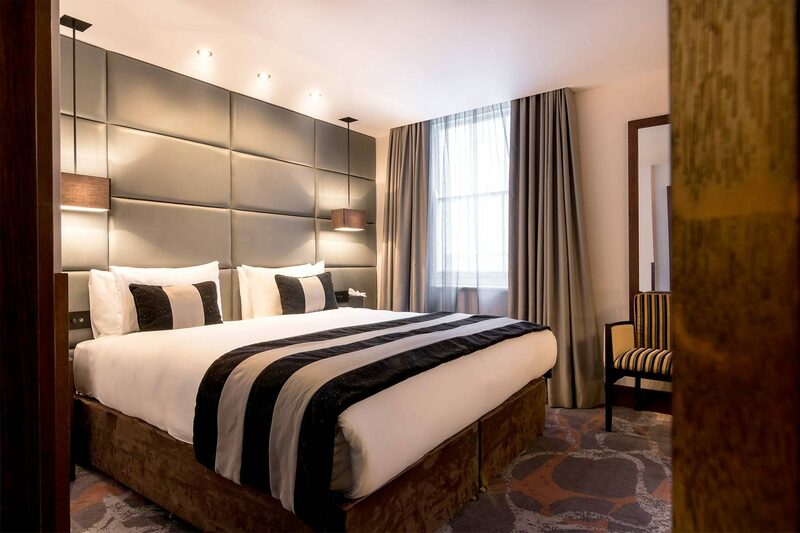 A little more spacious, with the same smart features as the Deluxe Double, you’ll find thoughtful extra touches in these rooms to make your stay even more memorable, from fluffy bathrobes and slippers to a welcome bottle of wine, fruits and complimentary soft drinks on arrival. Bathrooms are sleek marble affairs, and room amenities include complimentary Wi-Fi and broadband internet, plasma screen TVs, a microwave, and tea and coffee making facilities. Replenish tea coffee making facilities on daily basis. Turndown service every day!